Engine circa 1960s restored and in good mechanical order. New silver spruce hollow mast and standing rigging 2009. 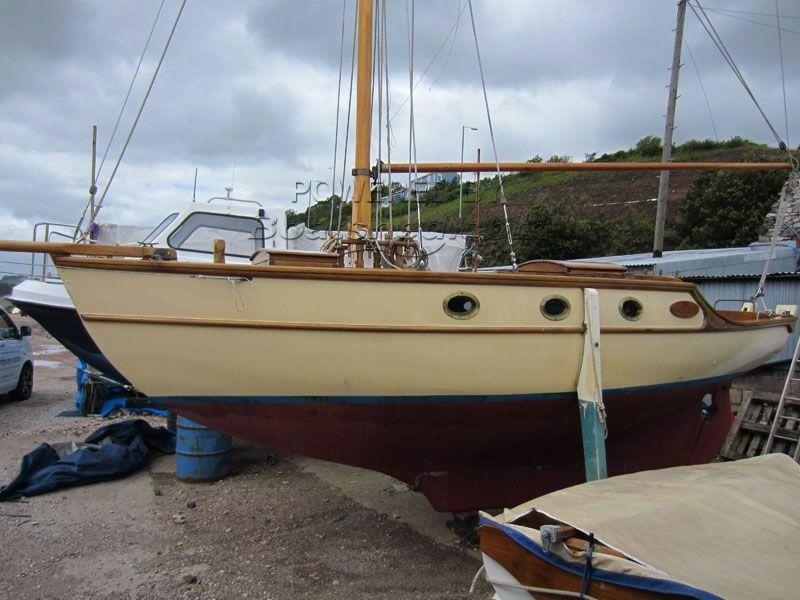 Classic 1950s long keeled Gaff Cutter completely rebuilt/restored. This is a unique opportunity to buy a classic long keeled wooden Gaff Cutter, designed and built by Harry Feltham in the circa 1950s. She has been lovingly rebuilt/restored by a well respected local shipwright, who with a high level of applied craftsmanship, has transformed this vessel back to her former glory. There is also a deep water swinging mooring available with the boat at Galmpton on the river Dart, at a cost of approximately £1000 per year. This Gaff Rigged Cutter has been personally photographed and viewed by a representative of Boatshed Torquay. Click here for contact details.